The 2019 Fall Convention of the Alaska Miners Associations is scheduled for November 3-9, at the Dena'ina Center and the Downtown Marriott Hotel in Anchorage Alaska. There are short courses (descriptions below) scheduled for Sunday and Monday, November 3 and 4. The courses are open to the public and will provide valuable information to anyone involved with or interested in the minerals industry. 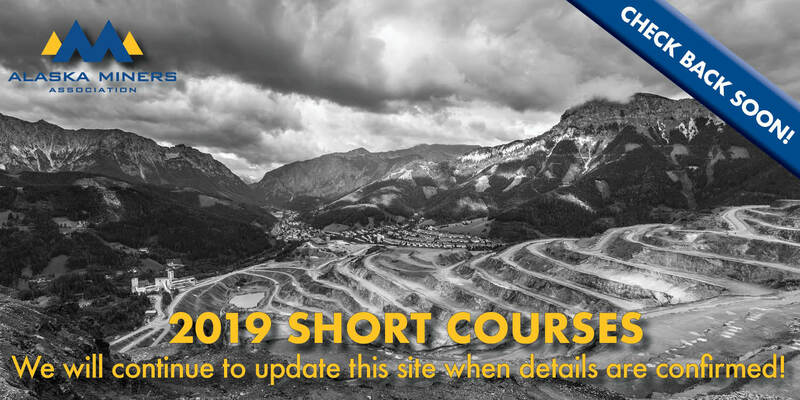 The MSHA refresher courses for surface and underground mining and are scheduled for Friday and Saturday, November 9 and 10, respectively, at the Downtown Marriott Hotel. All courses are open to the public.